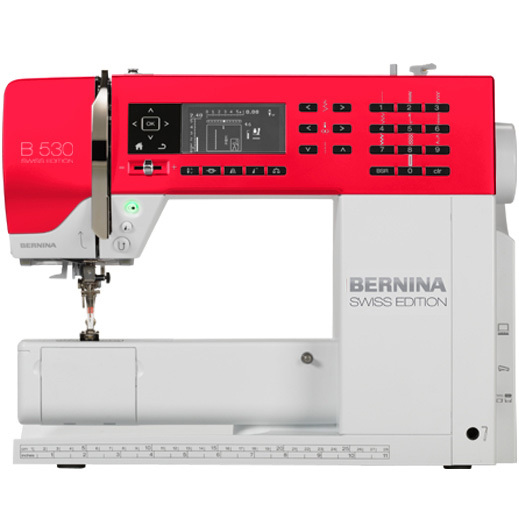 Please Welcome the New Swiss Edition to the BERNINA Family! 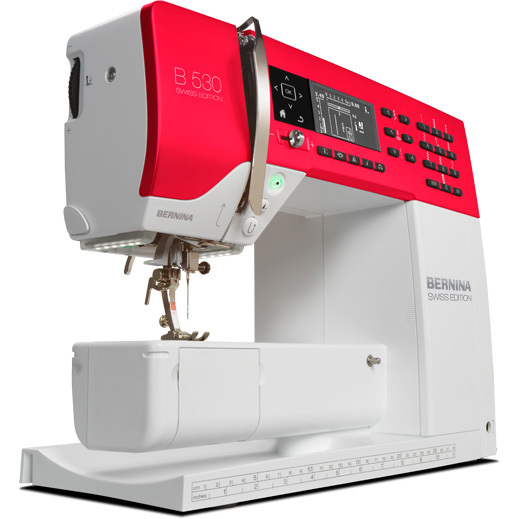 Striking in functionality and color, the BERNINA 530 Swiss Edition is here! A machine for any sewist who demands precision and versatility. The B 530 SE is the perfect buddy from sewists to quilters. Designed with a passion for detail, the B 530 SE offers an extensive repertoire of utility and decorative stitches that can be infinitely adjusted. You can easily adjust stich length and width and choose from 11 different needle positions. The B 530 Swiss Edition’s memory helps you save your stitch and needle settings temporarily or permanently. With its clearly laid-out control panel you’ll have quick access to all stitch patterns and settings, including reverse and mirror function, manual or automatic buttonhole, and much more. The BERNINA Stitch Regulator is optional. 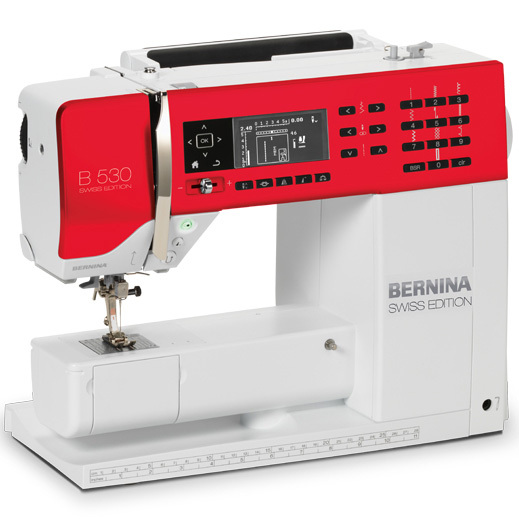 Want to meet the BERNINA 530 Swiss Edition? Visit your local BERNINA store for a test drive! Previous Previous post: Thank You for Helping Us Reach 100,000 Facebook Likes! Can’t figure out how to upload an image for your 530 sweepstakes entry. Could use some help please.